Still have old silver mercury fillings in your teeth? Replace them. 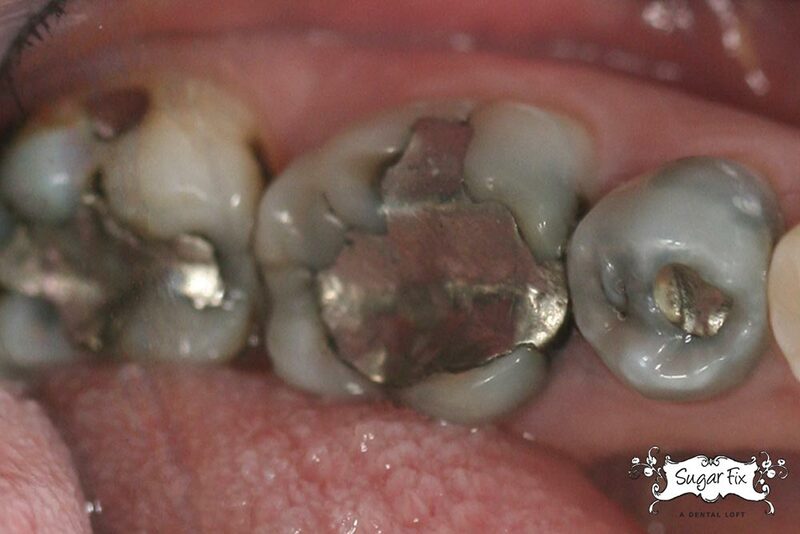 Do you still have old silver fillings (amalgams) in your teeth? You really might want to consider proactively replacing them – not just for aesthetics, but because these archaic materials can give rise to much larger and more expensive dental problems over time. The problem: Amalgam that is packed and wedged into fillings can react to hot and cold temperatures, and over time can start leaking, or fracturing the tooth. Bacteria can then get underneath the old restoration and start to destroy the soft dentin tooth structure underneath. Many people do not experience any pain during this process – until it is too late. We see dozens of patients each month that come in with old silver fillings that have failed, and they now need root canals. The decay underneath gets so large that it finds its way into the nerve, and this is when the pain starts. Throbbing, aching at night, or extreme hot or cold sensitivity are usually the first signs that a tooth has gone bad. If you still have silver fillings, it’s very easy to proactively replace these fillings before any issues start showing up. You can always come in to have any old dental work evaluated, and have us check for any leaking silver fillings and cracks in these fillings. From there, we can replace the restoration on the same day with a one unit onlay that fits like a puzzle piece into the tooth. It has much better strength than amalgam, and it is made of porcelain. We can evaluate any fillings in teeth and show you the x-rays and photos, so you can see what’s going on for yourself. Call us at (773) 883-1818 or email us to set up a comprehensive exam with Dr. Emery to evaluate your needs!